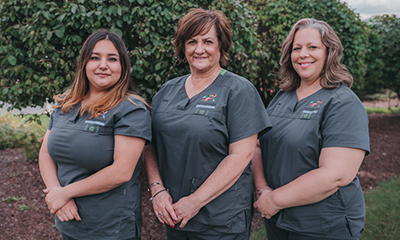 Put a face to the name and get to know a little more about our team of veterinary dental specialists at Veterinary Dental Center. Learn more about Board-Certified Veterinary Dentist and dental nurses/assistants. WHY I DO WHAT I DO Being a veterinarian is the only thing I ever wanted to do. I grew up on a farm in Wheaton, Illinois with dogs, cats, sheep, horses, and chickens. Growing up I observed and then was recruited to help Dr. McCaslin care for our animals. In those days, he would stay for dinner after treating one of our animals and tell amazing stories. 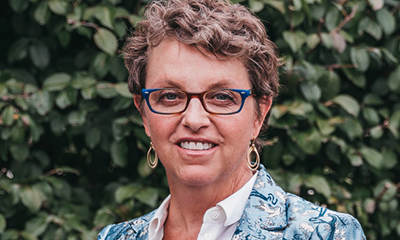 After 15 years in general practice, I was accepted into a dental residency at the University of Illinois under board certified veterinary dentist and surgeon, Dr. Sandra Manfra. I cannot thank my wife and family enough for making it possible for me to travel to Champaign (over four years), maintain my caselogs, complete my required publications and study for dental specialty boards. Now, I have the pleasure to perform a wide variety of specialized dental and oral surgical procedures for companion animal as well as zoo/aquatic animals. MEMORABLE MOMENT/S The relationships I’ve had with my patients and their parents over 30 years have been priceless. Most recently, I was fortunate to provide oral surgery & extractions on Ramar a 50-year-old gorilla (the third oldest gorilla in captivity) at Brookfield Zoo. Ramar had heart disease and we were tasked with providing efficient oral evaluation & dental extractions, while an orthopedic surgeon performed arthroscopic knee surgery under the same anesthetic. Ramar had 3 diseased molars, received surgical extractions and made an excellent recovery. I have a finger painting from the “Big Guy” as a thank you! THE OTHER LOVE OF MY LIFE Beyond my great wife and 4 lovely children, we have been blessed with 4 golden retrievers that exemplify the description “man’s greatest companion” (dogs). Lance joined the family as a 10-year-old Good as Gold rescue with multiple health problems. After a few months of treatment for heartworm disease, two cancer surgeries, and root canal therapy he spent 4 years mostly with our daughter Grace at college. Holiday and summer breaks were a joy with Lance. Most recently we added Sperry, a 5-year old Good as Gold Rescue that has overcome anxiety to fit in the family. WHY I DO WHAT I DO I have always had a passion for animals and becoming a veterinarian from a very young age. As a child I read every James Herriot book I could find and in summers would spend time at my grandfather’s farm. As I got older and began working for a veterinarian I learned that even though the medicine in those James Herriot books had changed, the passion that James Herriot had for his patients was still there. Knowing that I could combine science and knowledge to help animals solidified my dreams of becoming a veterinarian. MEMORABLE MOMENT/S One of my first memorable experiences at the Veterinary Dental Center comes from a elderly dog that shared his life with a very sweet senior lady. Her beloved pet had a very large non-cancerous tumor in his mouth that could be cured, but would need involved surgery to cure him. She really struggled with decisions regarding his quality of life and his advancing “senior” age. After discussing the surgery, answering all of her questions, and showing her pictures of previous patients’s surgeries she decided to go ahead with the surgery. He did very well with surgery and went on to live a very normal life. His owner was very grateful and teared up while thanking me at his follow-up appointments, reminding me what an amazing career I have. THE OTHER LOVE OF MY LIFE I have had many pets throughout my life and they are all memorable in various ways. One pet in particular that comes into mind on many occasions was my collie that I acquired while still in veterinary school, Keiki. He was by my side through many aspects of my life: veterinary school, graduation, new jobs, marriage, babies, and multiple moves. As a senior pet, he developed a spinal cord tumor which affected his mobility and quality of life. Up until the very end, he lived his life with passion and my love for him stays with me even to today, reminding me of the important things in life. We are focused on exceptional pet and parent experiences. We have a State-of-the-Art facility and outstanding staff committed to the highest quality dental services in a warm/caring manner. We are your first points of contact and will facilitate a timely exam or procedure based on your pet’s needs. We will reach out to your veterinarian to request medical records prior to your first visit and then communicate with them with a Procedure Summary letter and Procedural Photos/X-rays. “I am the veterinary dental center coordinator. I am married and have 3 children and a wonderful granddaughter. I have a rescue dog Dodger who rules the house. When not working I love spending time with my family and our combined 10 pets!” – Cathy M.
“I live in Aurora with my husband and our teenage son. We have three sweet dogs, a Lab Mix named Scout, and two Shelties named Duchess and Peewee. We also have three playful cats named Rory, Sherlock, and Hobbes. 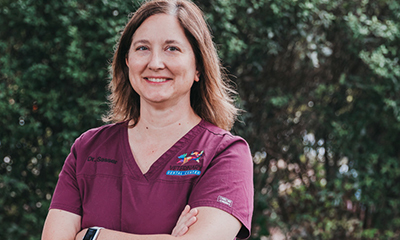 In my spare time, I like to take our dogs for walks, play board games with my family, and crochet.” –Jen M.
We have special training in anesthesia, advanced dental procedures/maxillofacial surgery, nursing care, and pain management. From admission to dismissal, we have a “patient focus” of anesthetic safety, comfort and well-being. 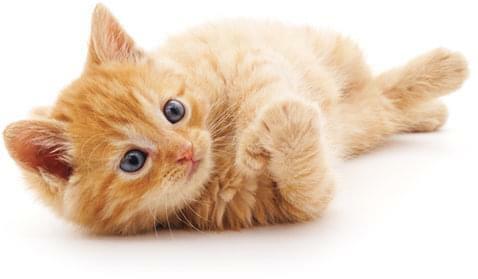 It is our goal for your pet to return home, ready to eat and interact with the family. “I have been working in the veterinary field for 8 years, and graduated from the Veterinary Technology Program at Joliet Junior College in 2015. I have always had a strong passion for animals of all shapes and sizes. My small zoo consists of a Jack Russell mix named Roxy, 2 goldfish (noodles and Mac n’ cheese), and 3 cats named Patches,Jäger, and Camo. In my free time I enjoy spending time with my daughter, hiking, cooking, and visiting local music venues.” – Laura P.
“I graduated from Joliet Jr. College’s Veterinary Technology program in 2016 and became a CVT. 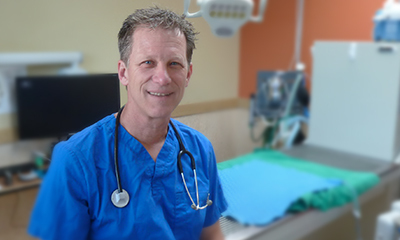 My interests in veterinary medicine include dentistry, anesthesia, and pain management. I have a Cardigan Welsh Corgi named Chance and a long-haired black cat named Metallica. My other interest outside of vet med are going to rock/metal concerts, Blackhawk and White Sox games, and spending time with my boyfriend and family.” – Arianna K.
“I graduated from The Vet Tech Institute at Fox College in 2014 becoming a Certified Veterinary Technician. I have a strong interest in emergency medicine, anesthesia, and pain management. I was drawn to veterinary medicine for both my love of animals and my love of learning. I enjoy caring for my 3 cats (Libby, Ki-Tan, and Seymour), 2 dogs (Addilynn and Payton), and bearded dragon (Samantha). When I’m not at work, I am spending time with my family and boyfriend.” – Missy K.
“Caring for animals has been a passion of mine since I was young and it lead me to the field of veterinary medicine. I graduated from the Veterinary Medical Technology Program at Joliet Junior College in 2012. My interests in dentistry include anesthesia, radiography, oral surgery and client education. I have a Fox Terrier mix named Oakley and a Belgian Malinois named Odin. In my free time I enjoy being outdoors surrounded by nature, listening to live music and spending time with friends and family.” – Megan M.
Specialty training in dentistry requires the completion of a 3-6 years of training in an area of specialization beyond a Doctor in Veterinary Medicine Degree (DVM). A Diplomate of the American Veterinary Dental College (AVDC) is a veterinarian who has been certified by the AVDC as having demonstrated specialist knowledge and expertise in veterinary dentistry, oral surgery, anesthesia, and radiology/imaging as a result of completing the AVDC training requirements and having successfully passed the AVDC examination. Can you tell me about your dental nurses/assistants? 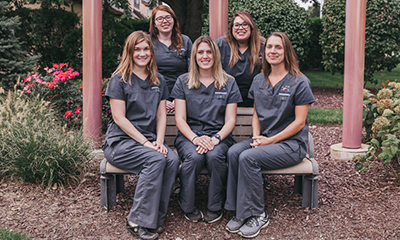 The nurses or dental assistants that support a veterinary dentist have received comprehensive training on the pet-friendly handling techniques, common oral conditions, anesthesia (including advanced patient monitoring/support), dental X-ray and pain management. For more information, please visit the American Veterinary Dental College.